I am a fully tenured Principal Investigator, Associate Dean of Business Engagement, co-Director of Manchester Centre for Cellular Metabolism, I am Professor of Molecular Cell Biology, Division of Cancer Sciences, Faculty of Biology, Medicine and Health, Manchester Academic Health Sciences Centre, University of Manchester. I act as one of the key university conduits for the CRUK Manchester Institute, Medicines Discovery Catapult and I am the Industry Lead for thr Manchester BRC and Manchester academic lead for Singapore. I am also a PI in the Manchester Cancer Research Centre and hold adjunct professorships in Athens and Singapore..
After reading for my doctorate at the Imperial Cancer Research Fund (now CRUK) in London (1997), I undertook post-doctoral research at Imperial College London, Southampton and University College, London with associated research spells in Michigan and Frankfurt. I have helped lead a transformational change in an applied research focus and activity in Manchester, engendering a culture of multiple stakeholders including the NHS, academics, industry, innovative funding agencies, the public and patients. 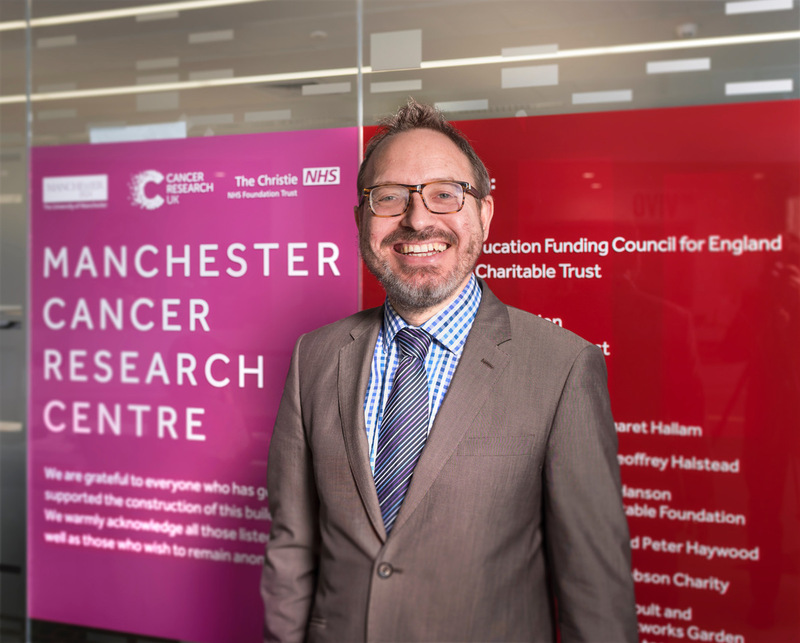 One key output during my time in Manchester is an enhancement of the biomedical industrial and basic research partnerships portfolio which has helped generate successful MRC and SBRI/ NIHR funding programmes. Moreover, applied-industrial research ipact and income has moved from an FEC deficit to one which is pragmantic and cost effective for the faculty.